This surprisingly sturdy coconut palm broom makes sweeping a breeze. It’s durable enough to work indoors and out, and is made from palm fronds secured with coir (coconut shell fiber) for extra strength. 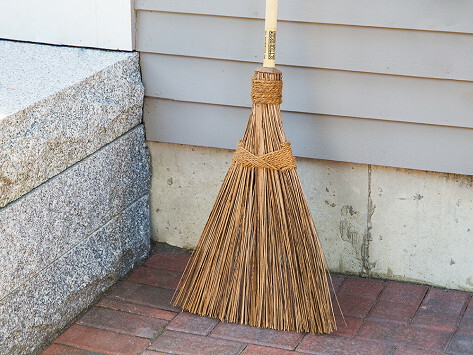 From dirt to leaves and even light snow, this all-season broom is an all-natural, effective new way to sweep up. Dimensions: 55" x 13" x 2.5"
The brooms are handmade with strong, flexible coconut tree palm fronds. The coconut coir (fiber from the husk) ties give extra durability, too. The result is a lightweight broom that can handle heavy sweeping jobs, while standing up through years of outdoor use, too. 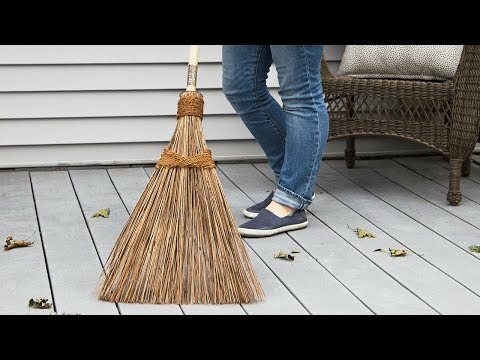 From dirt and debris to leaves and even light snow, sweeping with this earth-friendly (and attractive) broom is indeed altogether better.